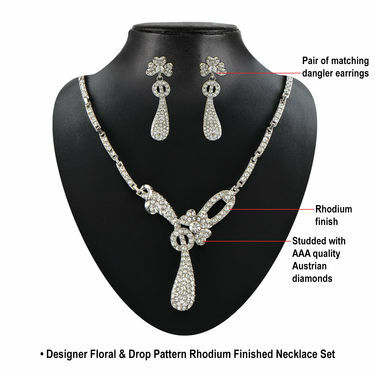 Studded with superior quality Austrian diamonds, this jewellery collection is an elegant assortment of chic and contemporary designs. 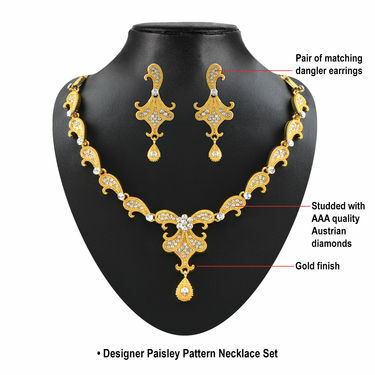 Designed by expert craftsmen, each piece of jewellery reflects outstanding craftsmanship, design and use of material. 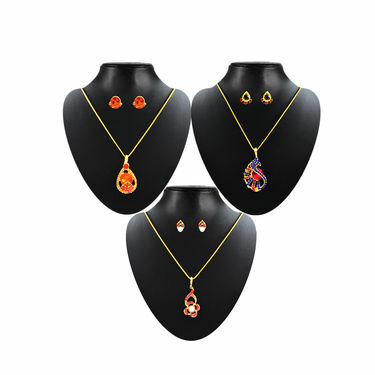 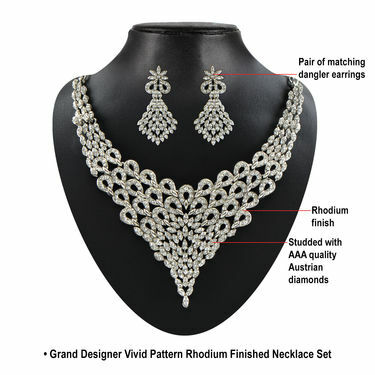 Crafted with special alloy metal and long-lasting finish, the jewelleries do not lose their luster easily and will certainly last for years to come. 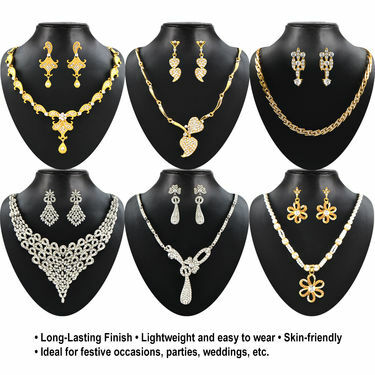 The collection is certainly a striking addition to your accessory collection and is great for gifting too. 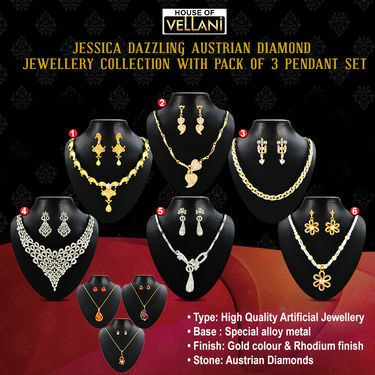 Jessica Dazzling Austrian Diamond..VSSet of 2 Gold Jewellery Collectio.. Jessica Dazzling Austrian Diamond.. VS Set of 2 Gold Jewellery Collectio..
Jessica Dazzling Austrian Diamond..VSPanini Designer Jewellery Collect.. Jessica Dazzling Austrian Diamond.. VS Panini Designer Jewellery Collect..
Jessica Dazzling Austrian Diamond..VSJewellery Khazana Collection by V.. Jessica Dazzling Austrian Diamond.. VS Jewellery Khazana Collection by V..
Jessica Dazzling Austrian Diamond..VSSumangali Gold Jewellery Collecti.. Jessica Dazzling Austrian Diamond.. VS Sumangali Gold Jewellery Collecti..